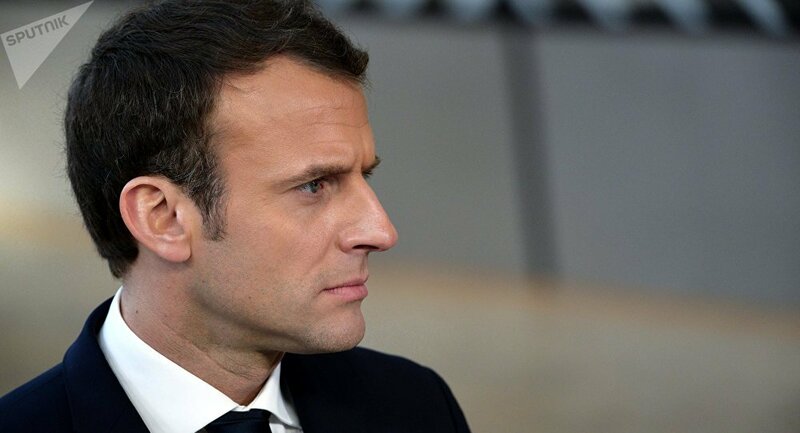 French President Emmanuel Macron told CNN’s Fareed Zakaria that currently Europe didn’t have ‘a clear alternative’ to the dollar because "de-facto there is an international extraterritoriality of the dollar due to its strength". “Until now, we fail to make the euro as strong as the dollar. We made a great job during the past years but it’s not yet sufficient,” he said, when asked whether the EU will come up with a response to the US withdrawal from the Iran nuclear deal in terms of currency. 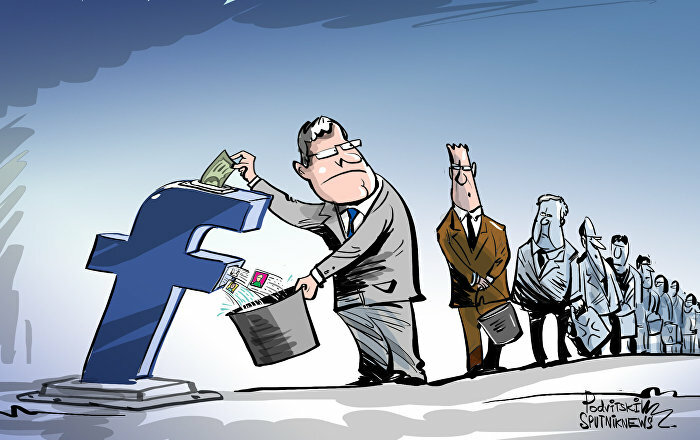 The French president suggested that European corporations and entities were deeply dependent on the US dollar. “This is an issue of sovereignty for me. So that’s why I want us to work very closely with our financial institutions, at the European levels and with all the partners, in order to build a capacity to be less dependent from the dollar,” he said. "It doesn’t mean to be opponents – but I think for the stability of the global order, you’ll need a strong currency like [the] dollar, but you need some alternatives. Euro has to be one of these alternatives, which means we have to better enhance our financial structures and the financing of our players at the euro-zone level." Last week, French Economy and Finance Minister Bruno Le Maire promised that Paris would attempt to lead the European Union’s efforts to counter US sanctions against Iran and strengthen the international role of the euro. Le Maire praised the Special Purpose Mechanism (SPV) as "the financial instrument of Europe’s independence", insisting that it would contribute to making the euro as strong as the dollar. "It is urgent to adopt these new instruments to help the Eurozone gain strength and stability. That is the first step on the path of making the euro an international reference currency," he stated. These remarks came shortly after a new US package of sanctions on Iran’s energy and finance sector came into force on November 5. 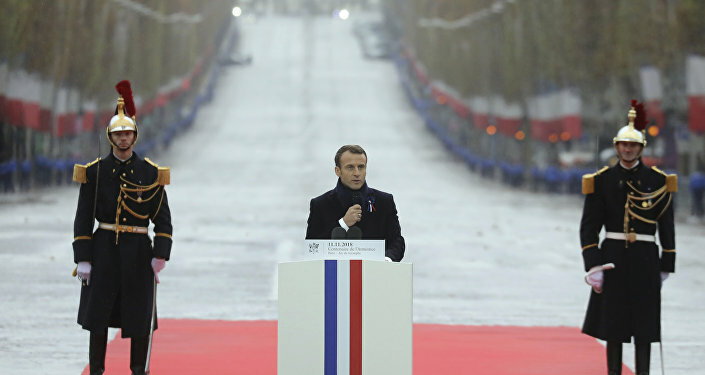 Although Washington remains Europe’s key ally and partner in many regions, there is a pressing need for Europe to build its own security, Macron stressed. Macron further emphasised that in order to build an ‘actual Europe’, it was essential to "convey the message to people in Hungary, in Poland, in Finland and in very different places that the day they have an issue, the day they are attacked, Europe is the one to protect them". The interview came shortly after Macron suggested building a ‘true European army’ to protect the continent "with respect to China, Russia and even the United States". The French President addressed his US counterpart Donald Trump’s recent announcement that Washington would withdraw from the 1987 Intermediate-Range Nuclear Forces (INF) Treaty over Russia’s alleged violation, saying that the ‘main victim’ of the US exit would be Europe and its security. Over the weekend, the two leaders discussed the issue of EU defence capabilities during the bilateral meeting in Paris, with President Trump saying that the US was eager to help its EU allies build a ‘strong Europe’, but at the same time he wanted European nations to bear a greater financial burden for their own security.